I'm still stuck on my flowers. I love spring! Everything is in bloom. These calla lilies are growing so beautifully, and the gift is that they just come up every year. 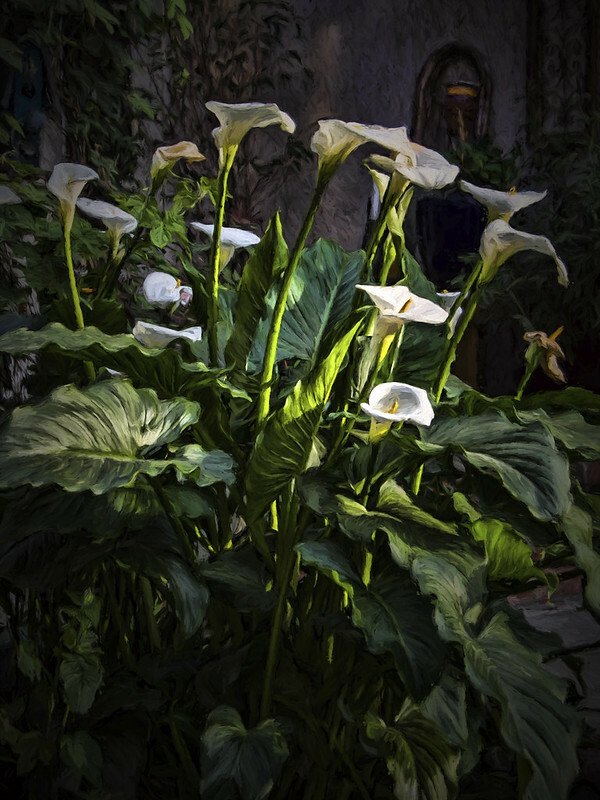 Looking at them, they remind me of bold, white trumpets growing out of the ground. This native of African marshes can make itself at home in moist garden soils in the warmer parts of the United States. Interestingly, they are also called trumpet lilies or pig lilies. I just love how full and vibrant they have become.